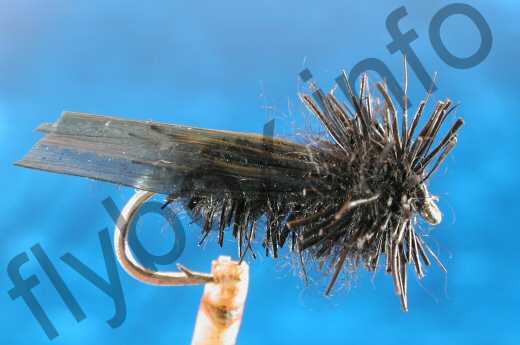 The Black Moser Adult Sedge was created by the gifted Roman Moser and is an excellent floater. Body : Black polypropylene and deer hair dubbing. Thorax : Black polypropylene and deer hair dubbing picked out. Currently there are no comments about the Black Moser Adult Sedge fly pattern from other fly fishermen yet.